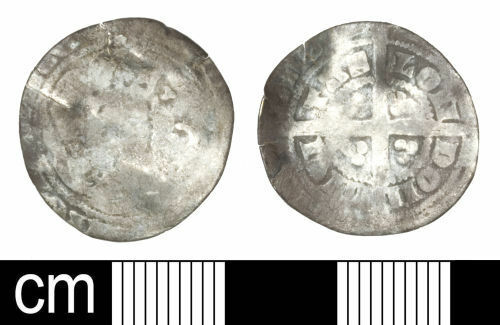 A slightly incomplete silver halfgroat of Edward III (1327-1377). Fourth coinage (1351-1377). London mint. Diameter: 23.7mm. Mass: 1.9g. A silver hammered halfgroat of Edward III (ruled 1327-1377). London mint. Clipped. Fourth coinage, 1351-77.